I've never been one to handle stress well, and so the idea of stepping outside my comfort zone has always made me a bit nervous. Over the years I've learned to let go of a lot, and go outside my comfort zone; both in my personal life and with fashion. The idea of experimenting with different looks has always been super fun and exciting, even if I didn't have the courage to wear it in public. For instance, I've wanted to try clogs for the longest time, but wasn't sure if I could pull them off. I'm so glad I gave them a go because I absolutely love how chic they look and can't wait to style them with a maxi dress next. They're also the most comfortable pair of heels I own! 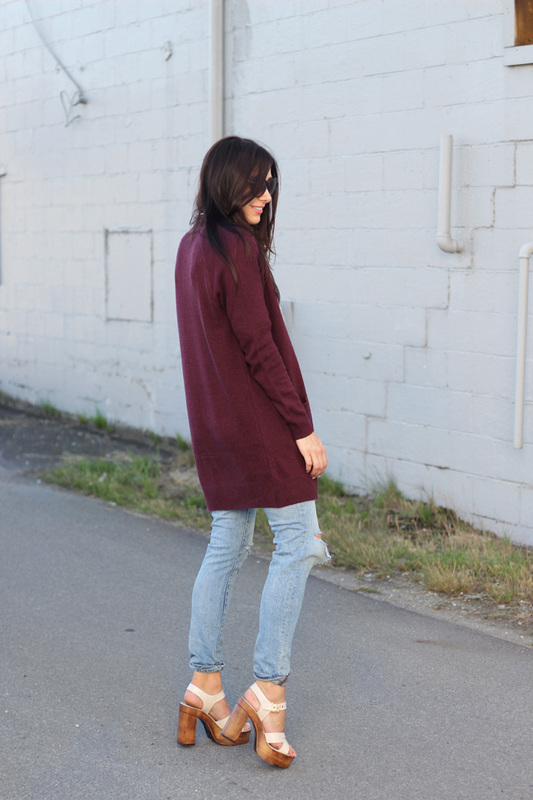 I managed to get a bunch of great items for Fall during the #NSale, such as this burgundy cardigan and these distressed skinny jeans. Unfortunately, the cardigan is sold out, but there are still a few sizes left in the jeans. Have you stepped outside your comfort zone with anything lately? I'd love to hear about it! Let me know in the comments below! Once you let go of things, everything gets easier, especially stepping outside the comfort zone! I have problems with it, but I am trying to do things normally I wouldn't do and I actually enjoy it. 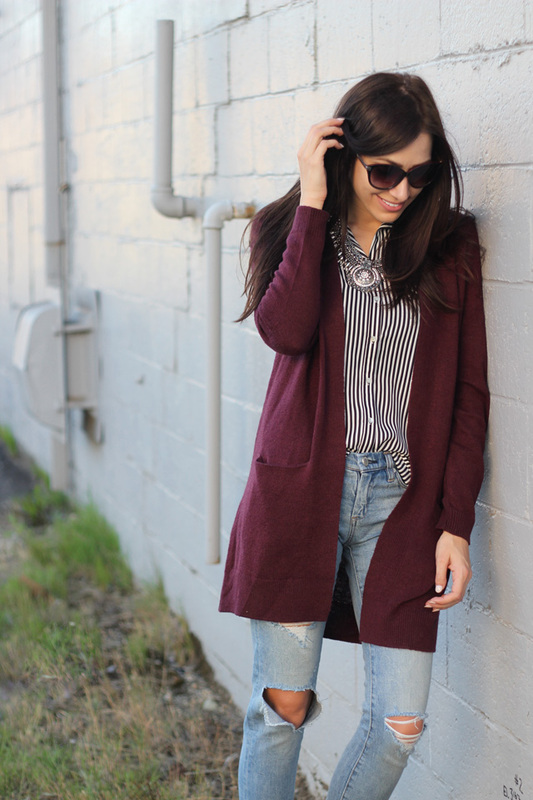 I love the burgundy cardigan, I need something similar for Autumn, it is one of my favourite colour. Loving these clogs!! I'm the same with these things! I sometimes have to force myself to get out of my normal look haha. Love you Nordstrom picks!! I always admire how stylish bloggers play around with fashion, personally when it comes to fashion, I like to experiment but not too much out of that comfort zone :) the clogs you bought are absolutely beautiful, and they actually look comfortable as well! I can't believe we're already talking about fall pieces! ;( It makes a little bit sad but also excited to see what's going to be in this season!